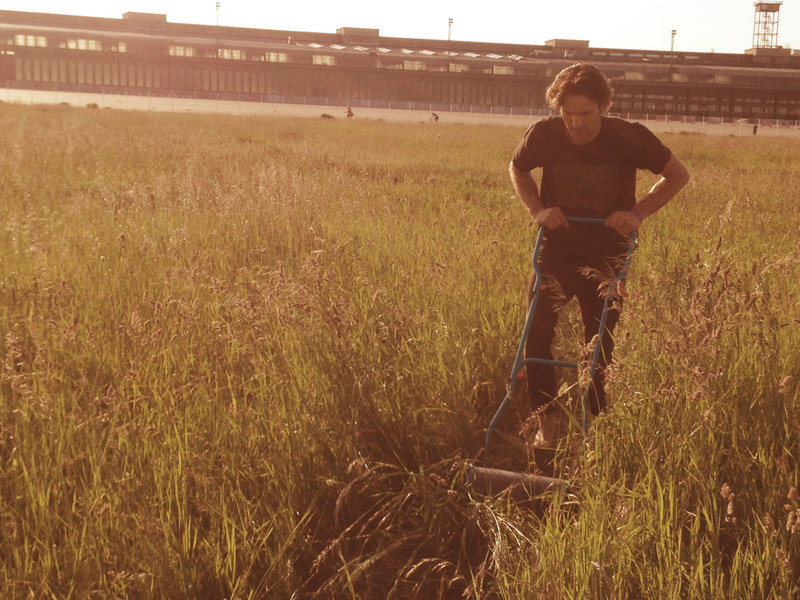 Daily Mowing Updates: Tempelhof Freiheit! 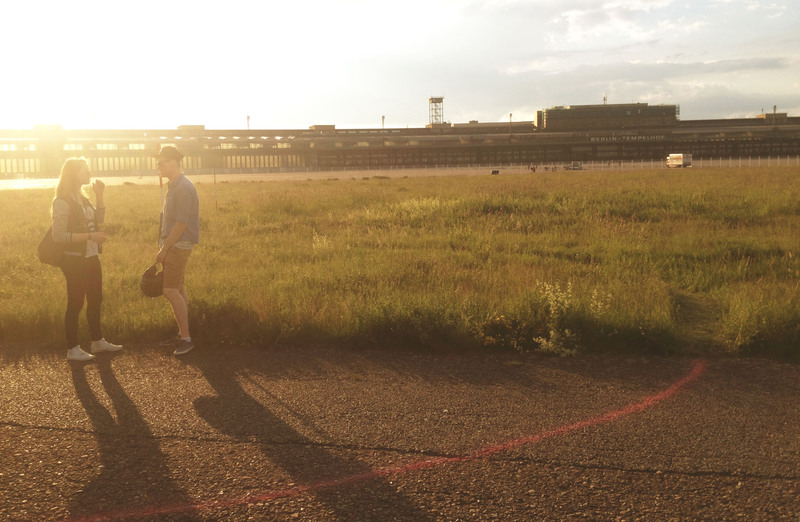 As part of our DMY Exhibit this week, we are creating a scaled version of our proposal at Tempelhof. 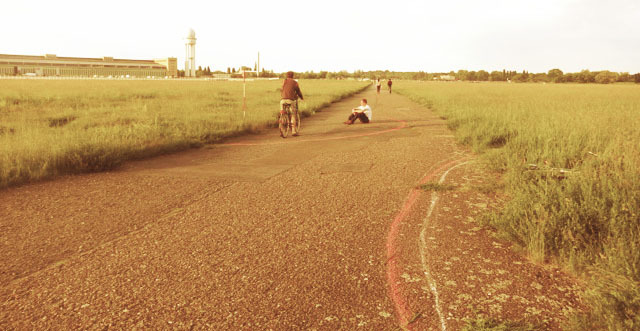 Close to the Western entrance we have established a point grid and have begun testing our proposal by mowing circles, ranging up to 120 feet in diameter. 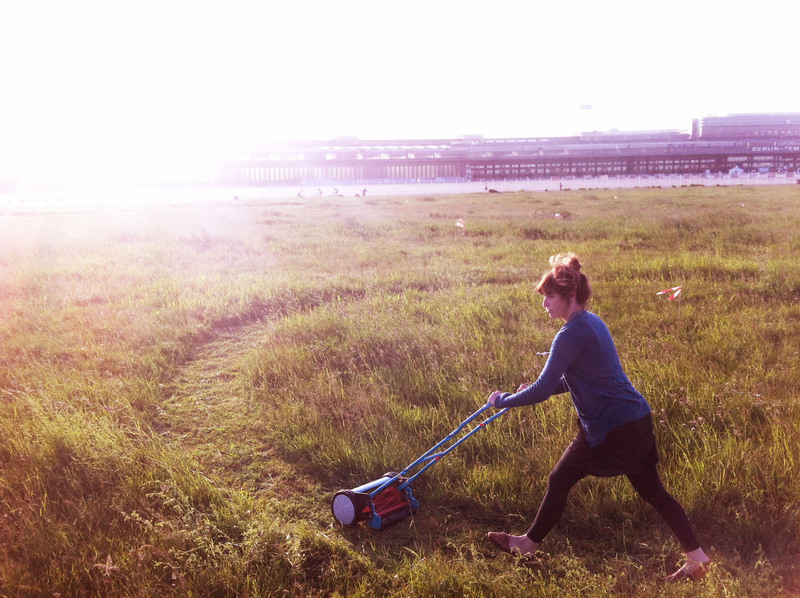 Each day we will mow more, allowing the programmable spaces to accumulate, overlap and disappear. 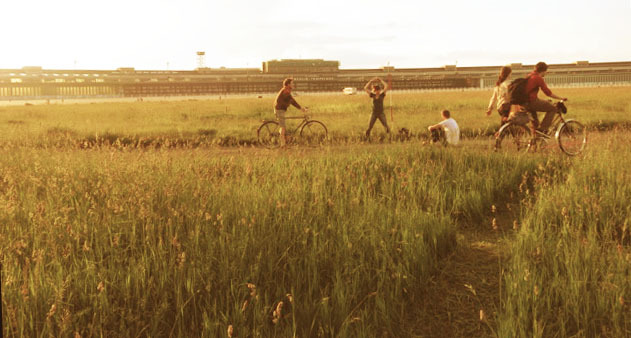 Our objective is to empower park users and DMY participants to “mow their own” space; creating an armature for flexible programming and incorporating park users in the design process. 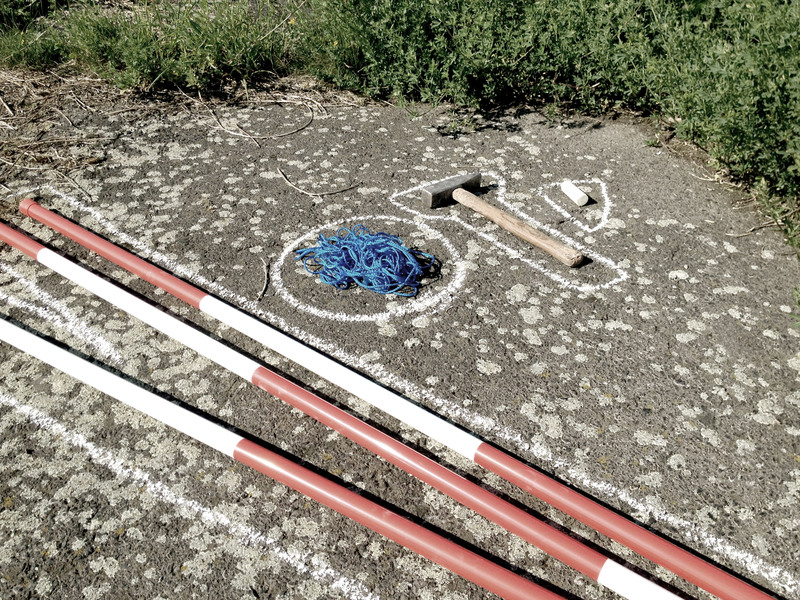 Today the poles arrived and we transported them to our site in order to indicate the center of each circle and make visible the point grid. 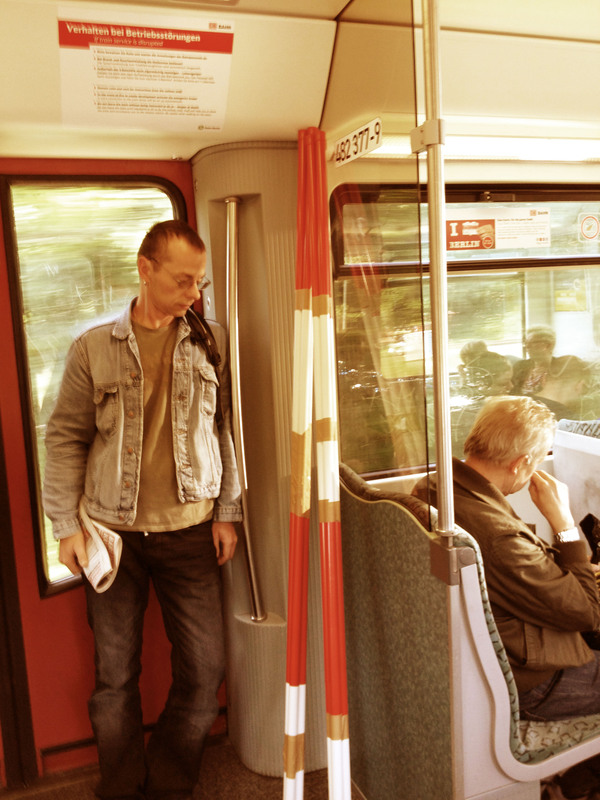 Each pole is 6 feet tall, making for some very interesting encounters while transporting them on the train. 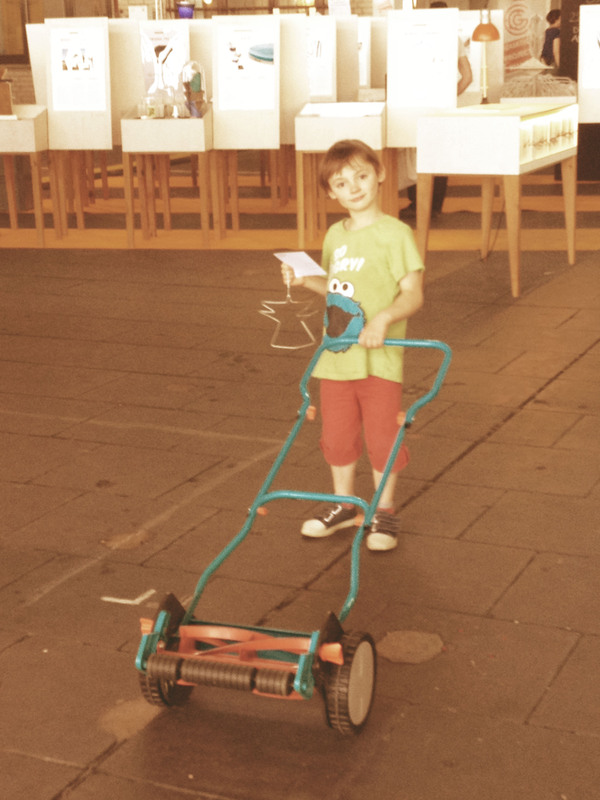 We we joined by our new friend Livius Haerer, who helped us mow a circle 120 feet in diameter! Today we purchased sheers to help us cut through the tall grasses, a welcomed addition. 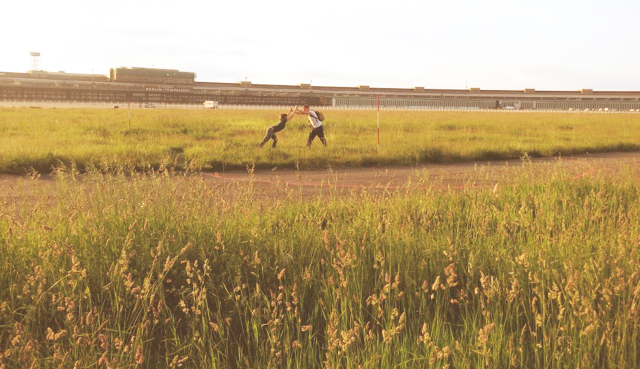 Many people, from school children to older couples stopped to talk with us, photograph and play on our site!